Undoubtedly, physics games give you the ultimate fun. But, it would be more exciting when combining the physics games and cool math genre. At CoolmathKidGames.com, we provide a full collection of interesting puzzles that can help you break your boredom and stimulate your mind thinking. Well your dream will come true with cool math games Run, a physics-based running game, players. 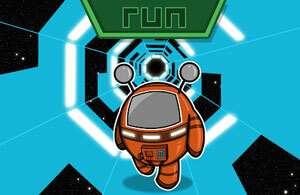 7 years after the initial release (2011), Run 1 is still one of the most favorite cool math games online. 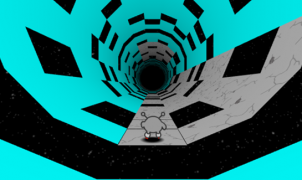 The objective that you must do is to direct a creature from space make an adventure through an endless tunnel. Of course, it can be that easy. On platforms the character is moving, there are plenty of holes and gaps. He could fall into the abyss anytime with even a small mistake from you. Try to survive in space as long as possible for a high score…will you set an unbreakable record in this game? Developed by Joseph Cloutier, an American indie game developer, Run has 2 sequels with new updates and is already now on Google Play as an Android app. Do you love driving games? If yes, then the ultimate choice for you would be Jelly Truck, a side-scrolling physics truck game published by GameTornado. GameTornado have also made smash hits such as Rex the dinosaur series: Mexico Rex, Paris Rex, etc. Your primary goal in cool math games Jelly Truck is to steer a truck made of 100% jelly across an amazing land also full of jelly and direct it to the finish line without causing any damage. Try to complete all 20 levels for the final win. Oh, and let me remind you that there are various different obstacles and barriers on tracks. A crashing accident will instantly end your journey to the Gummy Bears’ hometown. 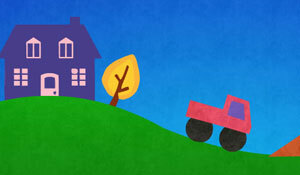 Jelly Truck is available for downloading to your mobile device. If you are truly a fan of cool math games, then you cannot leave Sugar, Sugar out of the list. This is a game simple to pick up and play but definitely challenging as progressing. Now you can enjoy Sugar, Sugar online for free and on the mobile device for a super low price. With the desktop version, you have to deal with 30 levels with the job is to get enough sugar into numbered cups. 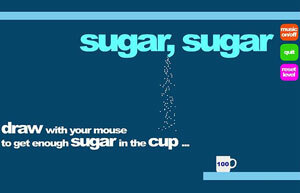 To do this, you must draw lines using the left mouse to direct the sugar. Keep playing and you will explore more puzzle elements, such as color filters or gravitation switches. Right after the game starts, the sugar will pour from the comma of the title; therefore, you must act immediately. Guide the falling sugar into a number of cups by drawing lines and shapes. For players having a quite good skill of drawing, it would be more fun to give the sugar more amusing, entertaining directions. Don’t be afraid if you already make a mistake – cool math games Sugar, Sugar allows you to reset each level with just a click. The first installment also offers you the Freeplay mode in which you can express all of your possibilities to direct sugar. This simple physics puzzler has 2 sequels and one special Xmas edition. In case you don’t want to play the game Sugar, Sugar in your web browser, then try the mobile version with over 70 levels and a Sandbox mode. Simple and sweet are what you might say when savoring the whole game. How really smart are you? 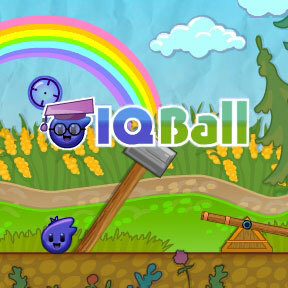 IQ Ball is a physics puzzle platformer actually designed to test your IQ exactly. Through all small puzzles in the game, you have to get your brain into a series of solving problems. Your IQ ball has a unique hook helping him travel from place to place in a not-so-usual way; however, he has no idea of where to go. That’s where you appear! As the game starts, players need to guide the purple ball to the target at every level. Our purple hero here is gifted with the ability to stick hard onto most substances. Help him reach the Bull’s Eye in the least amount of moves. Complete each stage with a few clicks for a high IQ score! IQ Ball has a strong connection to a kid’s learning. The game can teach them essential skills, like figuring ways to solve problems, finding causes and effects, and spotting trials as well as errors.